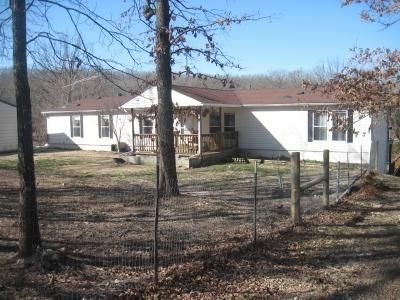 This large 7 bedroom 3.5 bath home sits on approx 7 acres in Hickory County MO. It is located in the Our Country Place development and owns a share in a large pond there and comes with a dock that has a slide. The home has a full walkout basement that has 3 bedrooms, a bath, a family room and a 2 car garage. The main level has the other 4 bedrooms, 2.5 baths, living room, dining room, kitchen and another family room. Outbuildings include a 22.6x25.4 garage, a 20x18 garage and a 14x8 shed. 12' 5"	x	17' 10"
12' 7"	x	10' 6"
21' "	x	12' 7"
12' 7"	x	19' 11"
12' 7"	x	13' 5"
12' 7"	x	14' 4"
11' 5"	x	12' 8"
11' 5"	x	12' 7"
11' "	x	11' 8"
14' "	x	11' 8"
11' "	x	9' 2"
Please provide more information about Listing # ARE8737.